What Are the Stages of Grief and the Best Ways To Get Through It? According to experts, there are five stages of grief and a number of healthy ways to deal with your loss. There is no timetable for the grieving process. It is a highly individual process, and it’s important to be patient with yourself and allow the process to naturally unfold. It is natural for people who experience loss to feel grief. 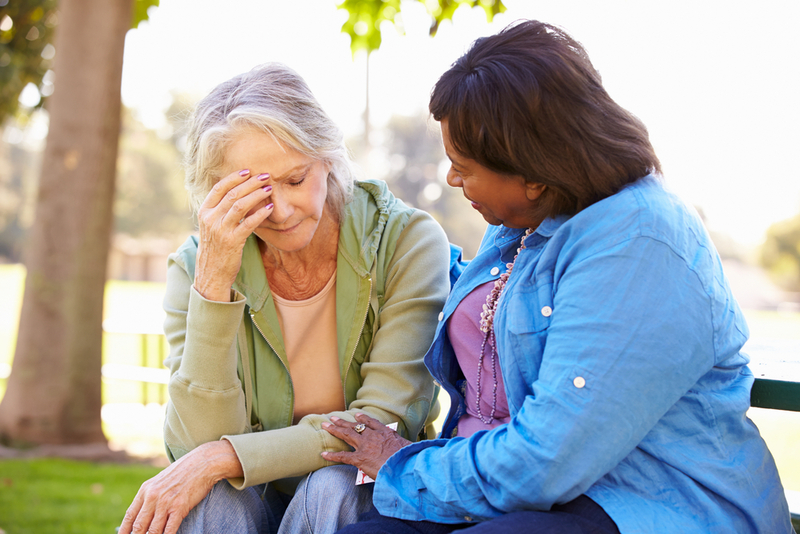 While there is no rigid framework for the stages of grief that applies to every person, psychiatrist Elisabeth Kübler-Ross introduced the “seven stages of grief”, that can help people understand what they are going through a bit better. Shock – When first learning of the loss, disbelief, and shock my overwhelm you. Denial – You may try to convince yourself or others that the event or loss didn’t happen. Anger – A typical reaction to loss, you might become angry at the person who left you. Bargaining – You may find yourself bargaining with a higher power to bring back the person you lost. Depression – Feelings of sadness and depression might overwhelm you. You might cry often and notice changes in your appetite or sleep patterns. Testing – The testing phase is where people realize they can stay in an above stage forever and start seeking help or other realistic things to cope. Acceptance – You understand your loss and no longer bargain or are angry about it. You still may feel sadness, but you are able to start rebuilding your life without the person who passed. Many times, the pain of grief can cause people to pull away from others. Getting support and help to deal with grief is recommended. Not only will it allow you to express your emotions and pain, it can help make the burden of grief easier to handle when you have support. Acknowledge and accept that is OK to experience pain. Understand that grief can trigger many different and even unwanted emotions. Realize that grieving is an individual process. Seek face-to-face help and talk to others about what you are going through. Take care of yourself by eating well and getting enough sleep. Learn and recognize the difference between grief and depression and seek help if needed. ProTip: Grieving is a highly individual experience; there’s no right or wrong way to grieve. Not everyone experiences the above stages of grief, and many times they do not come in that specific order, either. It can be beneficial to look at the stages of grief as a roller coaster–full of ups and downs. Over time, however, the difficult periods should become less intense and shorter in duration. Consider joining a support group, seek counseling, and turn to friends and family to help you through. Join the conversation at https://www.facebook.com/unlimitedcarecottages.